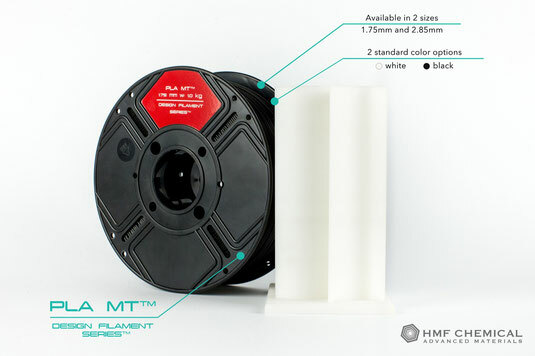 PLA MT™ - is a material based on PLA material, characterized by a matte surface of manufactured details. Just like all materials from the Design and Compositum series, PLA MT™ is embossed with a tolerance of cross-section deviation over the entire length of up to 0.01, which allows to obtain the perfect side surface and incredible print quality. PLA MT™ is characterized by excellent cohesion of layers and incredible simplicity of printing. It is an ideal material for the production of architectural mock-ups and artistic applications. This material is available in two diameters: 1.75mm and 2.85mm. The palette of standard colors includes two versions: white and black.